Requirements for participation in the integrator training is the operator training. 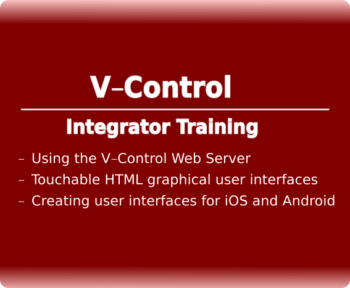 The course is aimed at users who will expand V-Control with graphical user interfaces for Android, iOS and web browsers. Also PLC programming and sensors is a big part. The training is held at the clients location. All prices are excl. travel expense. The price for the course is plus travel costs, travel days and hotel. Before you book this training, please contact us for a quote and appointment.